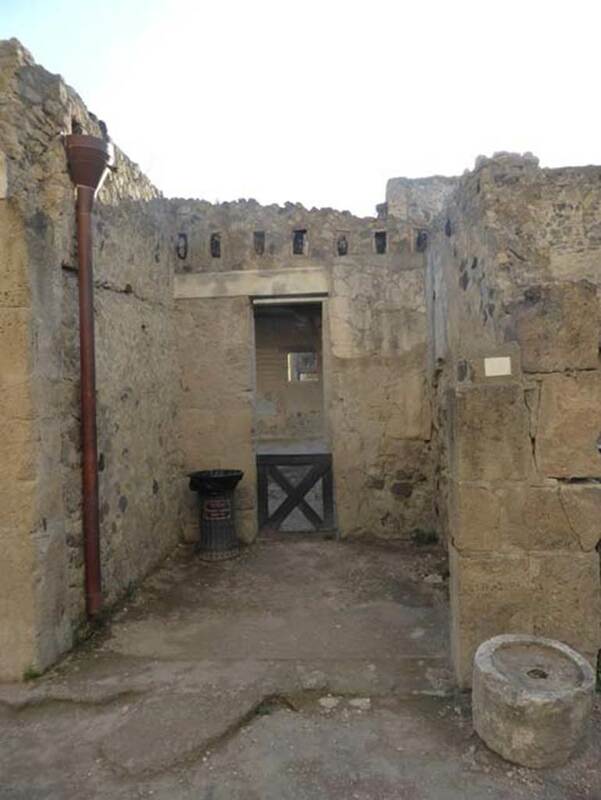 Herculaneum VI.18. Shop linked to atrium of VI.17. Looking south to entrance doorway of shop connected to atrium of VI.17.